We can expect to hear Kim Kardashian’s new song, “Turn it Up” in about three weeks. We got a little snippet when she debuted the song at a Las Vegas club. Kardashian further revealed that, “in a couple of weeks,” fans will be able to see footage of her working on “Turn It Up” on her E! reality showÂ Kourtney & Kim Take New York. “Kim approached Paris. Paris was with her mom, and sister,Â Nicky,â€ the eyewitness told us. â€œParis and Kim warmly embraced and genuinely seemed happy to see each other, which seemed to surprise fellow party-goers. â€œKim wished Paris a happy birthday (Paris’ birthday isÂ Feb 17th), and Kim complimented Paris on her outfit. Paris also complimented Kim and thanked her for the kind things she said about Paris in the Haper’s Bazaar interview. 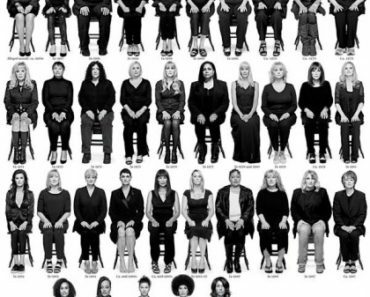 New York Magazine Hacked After Cosby Accusers Cover Released! Robin Thicke Slams Three-Way Relationship Tabloid Story, Threatens Legal Action!